A new paper on Energy−Momentum Cathodoluminescence Spectroscopy of Dielectric Nanostructures was published in the renowned journal ACS Photonics. It focuses on mapping the local density of optical states (LDOS), which is fundamental to understanding nanophotonic systems and devices. Complete LDOS mapping, in energy, momentum, and real space, can be performed using cathodoluminescence spectroscopy. 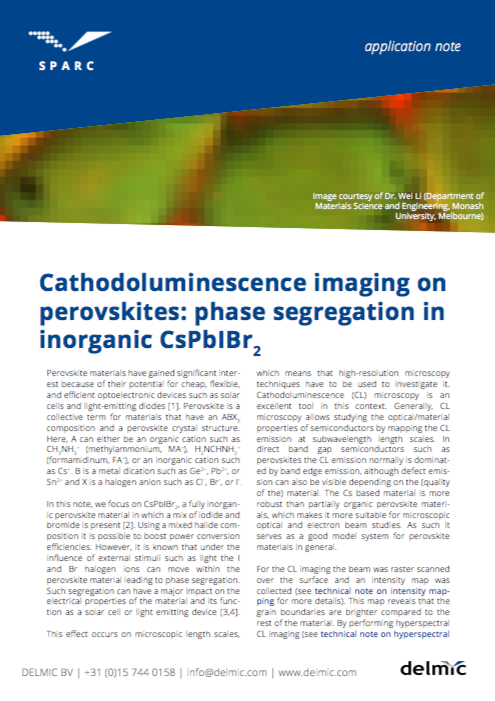 We are excited to share with you the new application note on cathodoluminescence imaging on perovskites, prepared by our application specialist Toon Coenen. Perovskite is a collective term for materials that have a composition of the form ABX3 and a perovskite crystal structure. Recently it has received significant attention because of its potential to create cheap, flexible, and efficient optoelectronic devices such as solar cells and light-emitting diodes. 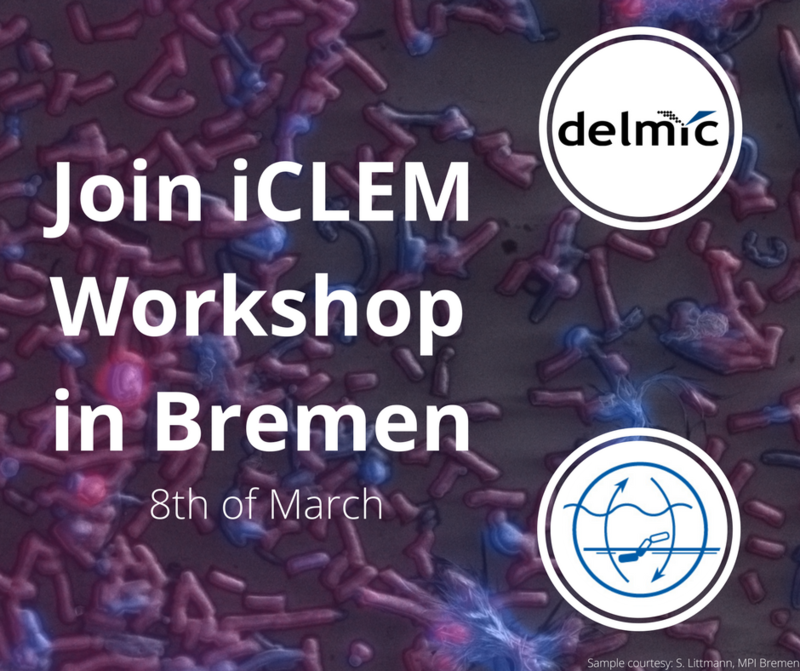 Delmic and Max Planck Institute for Marine Biology are excited to invite you to the iCLEM workshop, which will be hosted in Bremen on 8th of March 2018. The workshop focuses on correlative microscopy and aims to demonstrate the additional data you can gain from CLEM, particularly the benefits of integrated CLEM using the SECOM system. It is a great opportunity to learn more about important methodology for life science research, as well as to get to know fellow researchers.